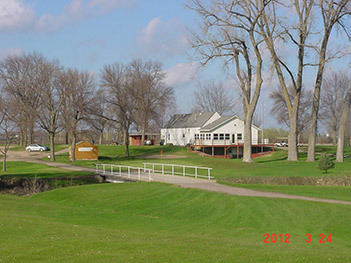 The Winthrop Golf Club is located two miles south of Winthrop on Highway 15. The mature 9-hole course is open from early April through the end of October. Call 507-647-5828 for a tee time or more information. The club house is open from 8 a.m. to 8 p.m. seven days a week. Sandwiches and refreshments are available, along with golf accessories and cart rental. Don’t miss Wacky Wednesdays when you get 1/2 price green fees. Cart not included. With Tee times starting at 9:00 am. 2 Divisions with two person Teams. You may find your own partner or the clubhouse can find you a partner. Consists of two person Teams with four divisions. Tee Times are used for all leagues. You may find your own partner or the clubhouse can look for someone for you.